Glub, Glub, Glub the fish are talking and asking for some help. Come help them this weekend at Torly Kid in Tribeca. 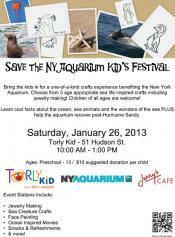 You can bring the kids in for a one-of-a-kind crafts experience benefiting the New York Aquarium. Kids can choose age appropriate sea life inspired crafts including jewelry making, sea creature crafts, face painting and more. Learn cool facts about the ocean, sea animals and the wonders of the sea PLUS help the aquarium recover post-Hurricane Sandy. Snacks & Refreshments will be served. The event takes place this Saturday from 10:00AM to 1:00PM. There is a suggested donation of $10 per child. Cookies make everything better. Mista Cookie Jar blends hip-hop, reggae and folk-rock together for lively shows filled with great music and awesome visual style. Their songs and music are bound together by the perennial concept of love. Share some sweet times all together at Symphony Space on the Upper West Side, Saturday at 11:00AM. Tickets cost $25 for adults, members cost $21, kids cost $15, and member kids cost $13. The weather is definitely cooperating these days with the cold. It's time to celebrate it, at Winter Jam Located in the Naumburg Bandshell in Central Park. Winter Jam NYC is a free annual winter sports festival that encourages New Yorkers to get out and enjoy the outdoors in the colder months. Gore Mountain will be blowing lots of fresh snow, so there will be plenty to go around. There will be cross-country skiing, snowshoeing, an open rail jam for skiiers and snowboarders. An unreal ice lounge, live entertainment and more. There's even a doggie snow zone for 4-legged New Yorkers with a cafe area and doggie treat bar. The event takes place on Saturday from 11:00AM to 3:00PM and is free for all to enjoy. The Bard Graduate Center on the Upper West Side is literally offering TONS of fun this Saturday. They have a day dedicated to elephants. Join them to learn about one of the largest and most intelligent animals in the world. There will be a new shadow puppet performance about a circus elephant who finds work in New York City. And your kids can create their own circus shadow puppet. There will also be a family tour of the Circus and the City exhibition. The fun of elephantine proportions will take place on Saturday from 11:00AM to 4:00PM. It is $15 per family which includes Gallery admission and healthy snacks. The Brooklyn Botanic Garden wants to light up your life this weekend. They are having an illumination celebration that is fun for the whole family. The kids can enjoy some old school Lite Brite action and other classic games in the Lite Brite lounge. You can also visit the Mitten Lodge and indulge in mulled wine, Stockholm hot chocolate and pepparkakor cookies. 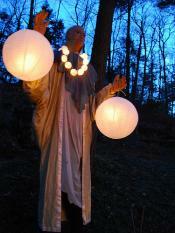 In the afternoon, your family can create a unique glass luminary to light your path on the Moonlight Lantern Walk and on your way home. And then comes the moonlight walk. It's a celebration of winter delights Swedish-style, with live music, stilt dancers, and giant puppets. The evening is capped off with their Ljus och Musik (Lights and Music) after party for all ages. The event takes place on Saturday from 12:00PM to 9:30PM. It is free with Garden admission. Take the family to listen and watch someone tickle the ivories. 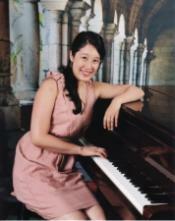 You all can enjoy an afternoon of classical music at Queens Library at Forest Hills. The distinguished and talented pianist Jean (Huang) Park presents a program of works by Bach, Beethoven, Brahms, Ligeti, and Liszt. The event takes place on Saturday at 3.30PM and is free for all to enjoy. Project Playdate manages to please the kids and parents all in a three hour window. Let's get them some superhero capes! At their evening playdate your children will get to eat a healthy dinner; participate in educational activities, arts and crafts, story time, dance time, free play; sing-a-long, watch a featured film and so much more. Ages 2-6. The playdate is happening this Saturday at 5:30PM at Watch me Grow Gramercy. The cost is 45 for one child, $25 for each additional sibling. Come say "Howdy!" and get ready to sing, dance and laugh along with the Paper Bag Players in their new show Saddles and Sunshine. The show takes place at the Kaye Playhouse at Hunter College and combines funny stories, charming characters, lively music, dancing and lots of opportunities for the audience to be a part of the fun. The show takes place on Saturday and Sunday at 2:00PM. The cost ranges between $15 - $30. Meet the Music! presents musical journeys into the up-close and friendly world of chamber music for kids 6-10 and their families. This weeks show taking place at Alice Tully Hall tells the story of the wacky Inspector Pulse. He receives a banjo for a present. It comes with an instruction manual that only teaches three chords. He soon discovers that those same three chords are very important in lots of music, from folk songs to Haydn, Mozart, Beethoven, and Brahms. The show takes place on Sunday from 1:00PM to 3:00PM. There is a musical instrument petting zoo in the lobby from 1:00PM to 1:50PM. Tickets cost $10, $15 and $30. Join Aviator Sports for their first-ever Community Open House. You and your family can come in and learn about their various programs, classes, clinics and activities for children and adults of all ages. Disney's Magic of Healthy Living, hosted by Radio Disney AM 1560 will be on site with fun activities plus music, games and prizes. The event takes place on Sunday from 1:30PM to 4:00PM and is free for all to enjoy. The Museum at Eldridge Street is celebrating Jewish Arbor Day. Help them honor family trees as well as physical ones with a traditional Tu B’Shvat seder, planting and art projects, genealogy workshops, challah making, beer tastings, and a Bash the Trash concert with recycled instruments. Museum tours unearth the green practices used in the Eldridge Street Synagogue’s restoration. The event takes place on Sunday from 1:00PM to 4:00PM. The cost is $10 for adults, $8 for students and seniors. And $6 for children. 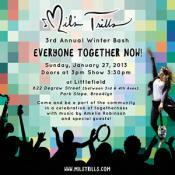 Come and be a part of the community in a celebration of togetherness with music by Amelia Robinson and special guests. Mil’s Trills is a series of live interactive performances introducing grown-ups with young children to the world of instruments through original, quirky and whimsical songs on the electric ukulele. With the help of a rotating cast of 80+ musical guests, you never know who will show up to rock out with you! The show takes place at Littlefield in Brooklyn on Sunday from 2:45PM to 4:00PM. General Admission is $12; Kids under 4 years are Free; Family Pack (admits 4) is $40.